UPDATE: TV Spy reports Peters was asked to step down after mixing alcohol and prescription medication. He posted a video apology to his facebook page. Dr. David Lipschitz is leaving TV. 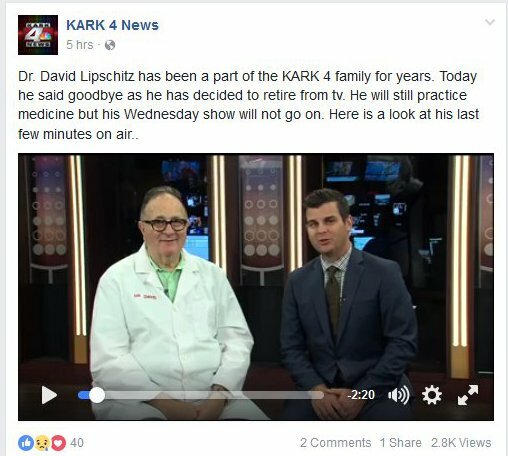 Lipschitz has been appearing on Little Rock TV for years. ( I believe before KARK he was on KATV) His final appearance was today. 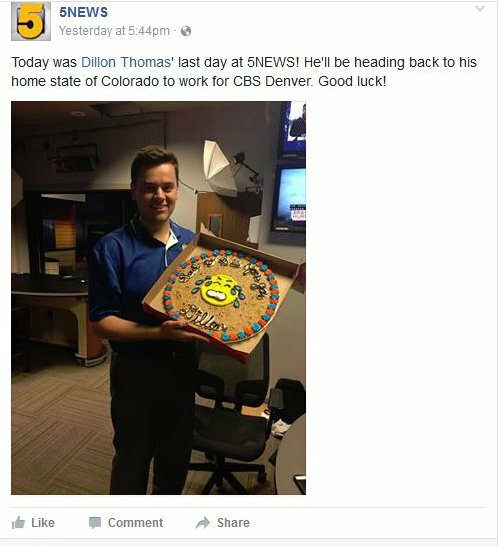 KFSM/Channel 5/Fort Smith anchor Dillon Thomas has left the station. Wednesday was Thomas' last day on air as he is heading to Denver, CO to work for the CBS affiliate there. Thomas was the weekend evening anchor and a weeknight reporter for KFSM. KATV/Channel 7/Little Rock parent company Sinclair Broadcast Group is looking for drone pilots. TV Spy reports Sinclair is looking to increase its use of drones in its station group. Sinclair is looking to hire 80 trained drone pilots for use in 40 of its markets. KATV/Channel 7 has been using drones for news coverage for some time now. Including Little Rock, 5 other Sinclair stations already use the technology.